ARLINGTON, Va.--(BUSINESS WIRE)--This charming new book shows budding scientists how the need to know can lead to great discoveries. 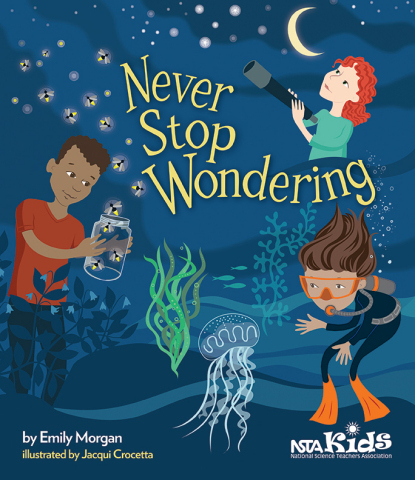 Never Stop Wondering is the latest offering from the award-winning author of the Next Time You See series, published by NSTA Kids. Packed with lively rhymes and whimsical illustrations, Never Stop Wondering encourages children to be inquisitive about the mysteries of the universe.